URI The Surgical Strike is a Bollywood movie which is going to release on 11 January 2019. This movie is based on real-life incidents happened at Base Camp in Kashmir. 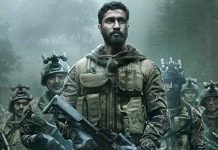 This is a patriotic movie in which Vicky Kaushal is playing a lead role of Major Vihaan Singh Shergill. 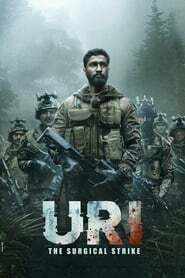 URI is directed by Aditya Dhar and produced by Ronnie Screwvala. This Bollywood movie is divided into 5 chapters named as The Seven Sisters, An Unsettling Peace, Bleed India With a Thousand Cuts, Naya Hindustan (New India), and The Surgical Strike. Paresh Rawal is seen essaying the role of Ajit Doval who happens to be India’s National Security Advisor in real life! The man, by the same name, is the real inspiration for Rawal’s character and had also formerly been the Director of Intelligence Bureau from 2004 to 2005. URI has received great reviews from the audience and it has become one of the best patriotic movies. Even Narendra Modi appreciated Vicky’s role in this movie. 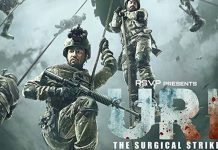 URI Box Office collection has started slowly with 8.20 Cr on its 1st Day, but it is expected to gross more. Petta over all Worldwide collection is 250 Cr Gross. Petta performed really well in Tamil Nadu. It has grossed over 200 Cr from Tamil Nadu State. 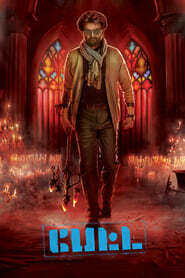 Petta performed really well in Ap & Ts, It has grossed over 29 Cr from in Ap & TS. 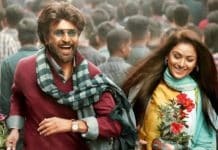 Petta has collected 21 Cr in Hindi. Aditya Dhar’s unforgiving war drama incorporates the events that led to the surgical strikes as seen through the eyes of protagonist Major Vihaan Singh Shergill (Vicky Kaushal). To make things harder for him, he has personal battles to fight at home as well.